Food Delivery Service Ewing: Welcome To SubsDelivery.com! Welcome to SubsDelivery.com! We’re happy that you’ve come to check out our new website and blog! You must have found our site because you’re looking for the best food delivery service in Ewing, New Jersey, and we’re here to tell you, you’ve found it! 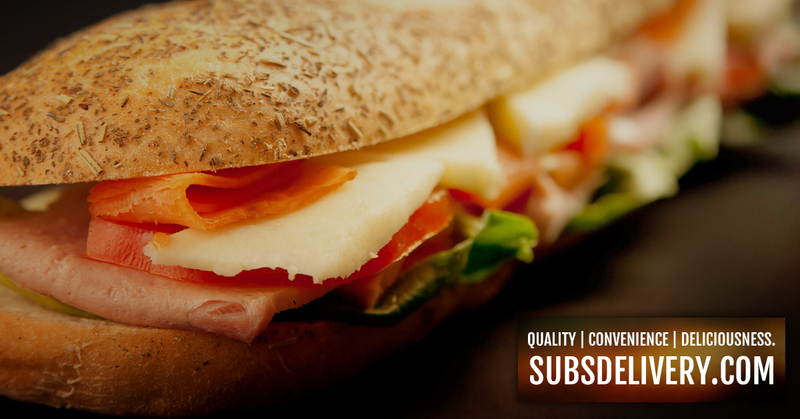 At SubsDelivery.com, we offer fast and convenient ways to order food online and get sub delivery straight to your door. The good news is, we don’t just offer subs on our menu. We have a wide variety of food to choose from that is sure to please everyone. Since you’re just getting to know us, why don’t we talk a little bit about what SubsDelivery.com can offer you. We know the work week can be hectic, and a lot of people don’t have time to prepare lunch or they end up leaving it on the counter with the mug of coffee they meant to grab. That’s why SubsDelivery.com has daily specials every weekday from 11am-4pm. For those days that you forgot your lunch or simply decided it’s time to treat yourself, SubsDelivery.com has a different special for each day of the week, and you can get your lunch delivered straight to your home or office. Everyone needs to start their week on Monday with Chicken Parm Day, and there’s no better way to end the week than with Cheesesteak Day on Friday. Check out our daily specials page to see all of our delicious weekday deals. 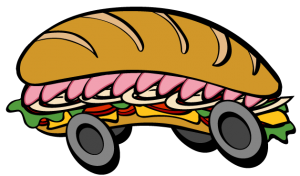 Don’t let our name fool you, SubsDelivery.com has a lot more to offer than just sub sandwiches, (although, we promise you won’t be disappointed in our specialty sub sandwiches)! We also have other popular menu items, like our yummy pizza breads topped with pepperoni and garlic, or you can try our Italian hot dog fries topped with an all beef hot dog, green peppers, fried onions, and yellow or spicy brown mustard. We also have the best wings, burgers, and salads to choose from, just to make sure you have enough choices before you settle on the right menu item for you! Don’t forget our kid’s menu, where your little one is sure to be pleased with the choices of grilled cheese, chicken fingers, and cheeseburgers, just to name a few options. If you have an event you need to have catered, we offer packages that include hoagies, cheesesteaks, wings, potato and macaroni salad, meatballs, salads, and more. Our catering packages start at just eight dollars per person so you know you’ll be getting a fantastic meal at a great value. Our meatballs will be a hit, and your guests will love grandma Gail’s homemade potato and macaroni salad. For the best local food delivery service, SubsDelivery.com has everything that you need to get a meal delivered hot and fresh that is sure to be delicious. See for yourself why our slogan is deliciousness delivered by making your first order today. Once you make your first order, we promise that it won’t be your last! We look forward to serving you.